Occupational crafts are those that relate to work outside the house in fishing, foraging, hunting, and farming. They are also the tools and products of trades such as blacksmithing, boatbuilding, stone masonry, and carpentry. Thus occupational crafts may be part of subsistence or cash economies. Generally these crafts are learned within families and communities or in a master/apprentice relationship. It is difficult in this exhibit to represent large-scale traditional skills or tools such as those involved in blacksmithing, wooden boatbuilding or folk house construction. However, the dugout pirogue offers an example of one such craft tradition, boatbuilding. While fishing and hunting and agriculture are pursued increasingly as pleasure rather than work, many traditional work-related objects retain their value whether the goal is subsistence, cash income, or sport. On the other hand some items, especially tools, are being replaced by mass produced goods. Thus, traditional work related items are sometimes viewed out of context as antiques or art objects. 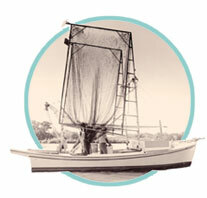 All of the tool and craft types in this section are in use in original or modified forms in Louisiana today.